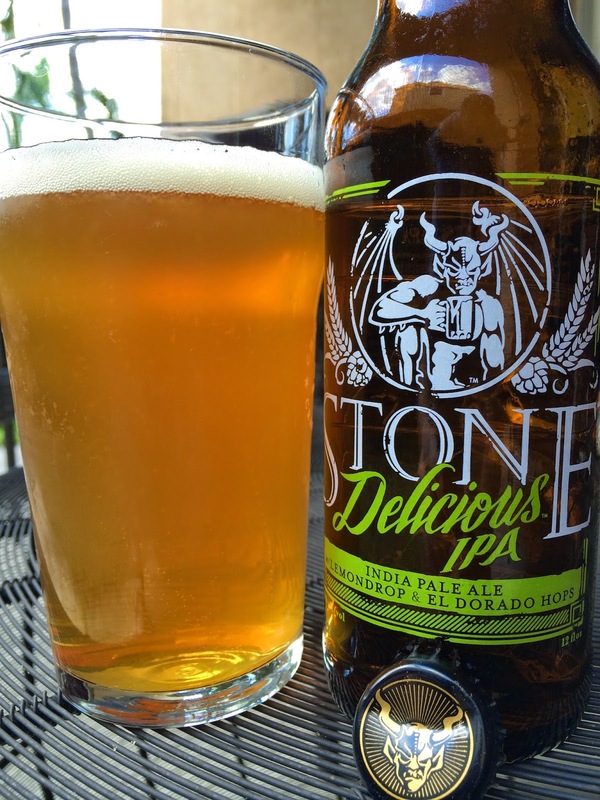 I grabbed a bottle of Stone Delicious IPA a few days ago--they are kings of the style after all. 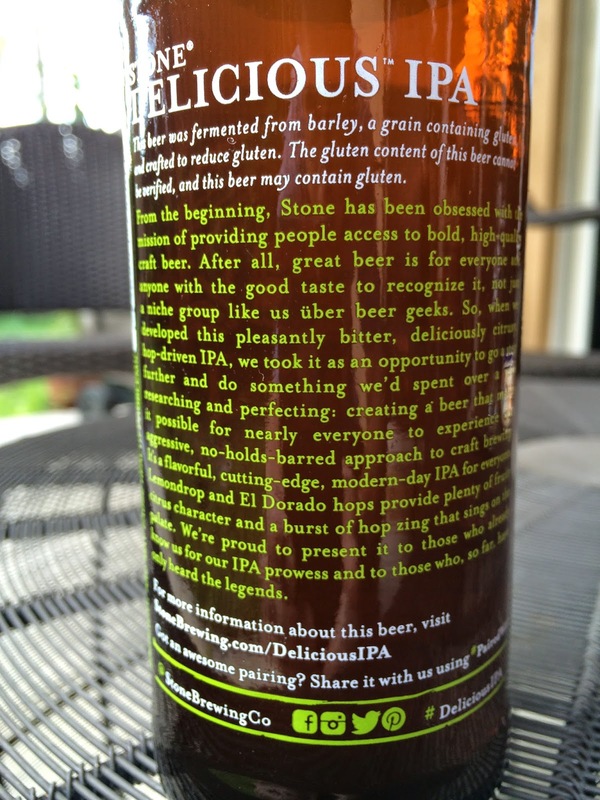 While reading the story on the back, I learned that Stone tried to craft this beer to reduce the amount of gluten in it, despite using barley in the brewing process. At the same time they decided to try to create a recipe that would be bold enough for hopheads yet approachable for those new to hoppy beers. This is their 2015 release. Brewed with Lemondrop and El Dorado Hops. 7.7% alcohol. Nice aroma, citrus and fruity, though not very powerful. Wow, delicious flavors! Whoever named the beer deserves a raise. Excellent lemony citrus comes first, sharp with a tangy flavor to it. Some light tropical fruity sweetness adds a hint of balance. This beer is bursting with fruit flavors. Nicely spicy, zesty lemons everywhere, good hoppy bitterness with a little bite. And a little alcohol kick and dryness at the finish. Tasty and very enjoyable. Loved the hops combination.